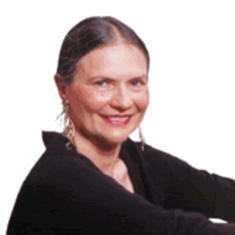 Elaine Comparone is a champion of the harpsichord like no other. Not only does she play with “red-blooded” passion sweeping it off its mantle of obscurity, but her nonprofit organization Harpsichord Unlimited is dedicated to stimulating interest in the instrument as a living, breathing, contemporary musical communicator. Its museum portrait is a thing of the past. A few mouse clicks over at You Tube lead to a treasure trove of Comparone’s riveting solo and chamber ensemble performances. They reflect the harpsichord’s new-found status as a prominent player amidst the rough and tumble cosmos of bravura, show-stopping pianoforte offerings. Try this one out for size–a sizzling Scarlatti sonata, “aglow with creative fire,” with over a half-million hits! Not bad for an instrument formerly relegated to the background, muted by strings, woodwinds, and even choirs. The mere fact that Comparone stands at her Hubbard, a custom designed harpsichord with shimmering resonance, allows her to project its life-size personality while also giving the artist increased freedom of physical and musical expression. 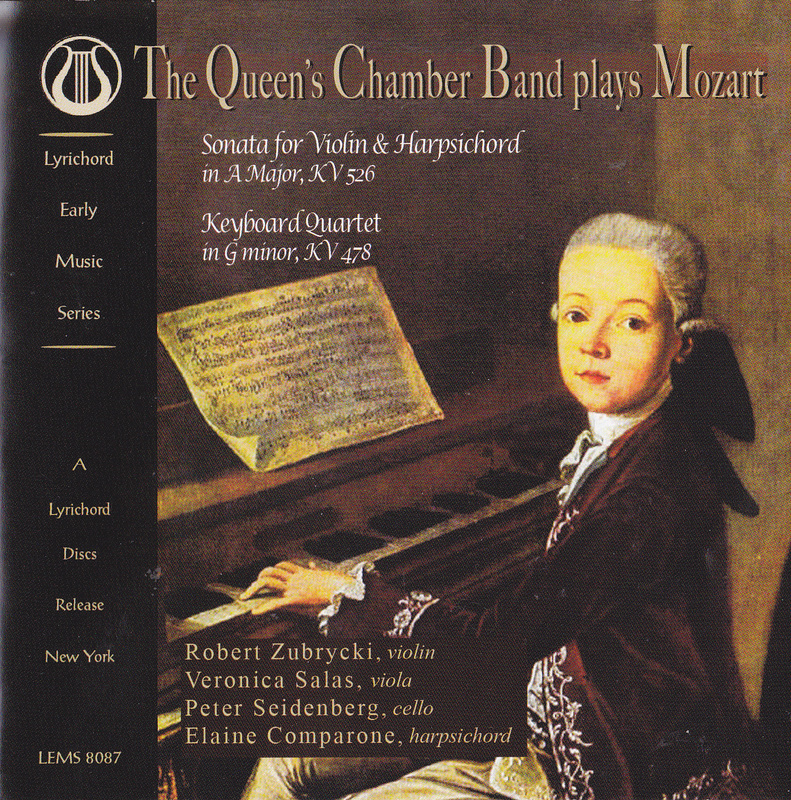 Comparone’s latest gift to the CD universe is an impressionable release by Lyrichord, titled The Queen’s Chamber Band plays Mozart. At the harpsichord helm is Elaine Comparone with her long-standing musical companions, Robert Zubrychi, violin, Veronica Salas, viola, and Peter Seidenberg, Cello. In erudite notes to her album, her Majesty the Queen, Comparone justifies the enlistment of the harpsichord in these Mozart readings by historical documentation. She references Ernst Fritz Schmid’s preface to his 1960 edition for G. Henle Verlag which explores Mozart’s choice of instrument with some ambiguity tied to the composer’s dynamic markings. Otherwise, Comparone remains assertive in this concluding paragraph, providing strong evidence to support her choice of keyboard medium. On this scholarly note, Comparone amplifies how she realized dynamics within compositions that might have been a playing toss-up between Clavecin and Fortepiano. These nifty manual shifts compare to Comparone’s jaw-dropping page turns in J.S. Bach’s Cantata No. 78 posted on You Tube. Not even a rigged iPad would rival her fleet fingers and eye-hand feats of coordination! The second CD track, Keyboard Quartet in G minor is particularly familiar since I’d played the piano part while enrolled at the Appel Farm Music Camp in Elmer New Jersey. Uncannily, our ensemble included the gifted violist, Toby Appel, who years later carved his own reputation as a leading soloist, lifting his instrument out of relative obscurity. It’s certainly a parallel tie-in to the harpsichord’s elevated public persona through the ardent efforts of Elaine Comparone. To summarize, every precious nuance of performance is imbued in the Queen’s Chamber Band’s current Mozart CD release. That’s why I strongly recommend its inclusion in any music lover’s living library of treasures.